LCF has provided a special Prayer Room for everyone who wants to get out from the clutter of their mundane life. It is the place where people can be intimate with God and be freed from other pre-occupations. It is the most conducive spot to soak in God’s presence, read His Word, and pray in the Spirit without being interrupted. 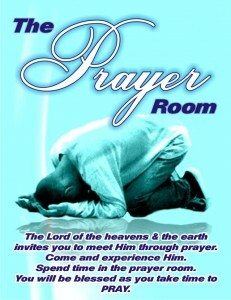 We invite you for a Prayer Room experience! This is where God’s glory are tangibly felt and a prayerful generation is being made. It is located within the premises of the LCF center, fronting People’s Park, Illustre St., Davao City.